The Financial Support Office administers a variety of scholarships and award schemes. Altogether 1M€ was awarded to non-european students in 2009 out of a total of 2.1M€. Eligible students are those from a non-European Union state, whose household does not file taxes within the European Union, and who have been admitted to the Undergraduate or Master’s programme. The Emile Boutmy scholarship may not be supplemented with the Eiffel scholarship. This scholarship is not automatically awarded. A request for it must be made in the section designated for the purpose on the application form. 1. A tuition grant of 7300€ per year for the three years of the undergraduate programme, in addition to a grant to cover part of the cost of living of €5000 per year. Scholarship recipients will forfeit their right to the grant to cover living costs if their academic results are not with the top 50% of students within their year group at the end of the first year *. 2. A tuition grant of 7300€ per year for the three years of the undergraduate programme. Scholarship recipients will forfeit their right to this scholarship if their academic results are not with the top 50% of students within their year group at the end of the first year *. 3. A grant of €5000 per year to cover tuition fees for the three years of the undergraduate programme. 4. A grant of €3000 per year to cover tuition fees for the three years of the undergraduate programme. 1. A grant of 10000€ per year to cover tuition fees for the two years of the Masters, in addition to a grant to cover part of the cost of living of €6000 per year. 2. A grant of €10000 per year to cover tuition fees for the two years of the Masters. 3. A grant of €5000 to cover tuition fees for the two years of the Masters. To apply for the Emily Boutmy scholarship, please fill out the relevant pages in the general application form. For the academic year 2010-2011, undergraduate applicants for the Emily Boutmy schlolarship must submit their application by May 2, 2011 at the very latest. Graduate applicants must submit their application by February 21st, 2011. Applications received after these dates will not be processed. 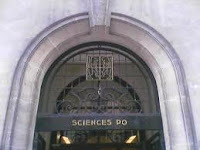 If you are already a student at Sciences Po and wish to apply for the Emile Boutmy scholarship, please fill in this form. Candidates seeking admission at Sciences Po need to apply for this scholarship by completing the “scholarships” page on their online application form. Demikian kami sampaikan tentang Emile Boutmy Scholarship for Undergraduate & Master, Sciences Po, France semoga informasi tentang Emile Boutmy Scholarship for Undergraduate & Master, Sciences Po, France ini bermanfaat.